“How-To” directions? You’ve come to the right place. Barrett decides to replace his old-school BabyCam system, and hooks up a cutting-edge Foscam Wireless IP Camera (Model F18910W). He plans on using the powerful conduit of his Apple Airport Extreme’s Wi-Fi home network to carry the video and audio signal of his sleeping toddler. But the installation manual is gobbly gook. And Barrett is flummoxed on how to do the install. Will he find his answers online? Will he be able to navigate conflicting suggestions by other Home IT Guys? First, I need to offer up a little disclaimer. My friend who gave me the evil black eye (camera) recommended I call Foscam tech support if I had any problems hooking up the sleek but confusing IP device. And did I do that? Why? Let’s just say I wanted to be able to figure it out for myself. Maybe it’s a guy thing. Like asking for directions. Let me ruin my cliffhanger and joyfully report that my little tech project does have a happy ending. It just took me the better part of a week to get there. I had to piece together the puzzle with bits of information from a variety of websites to get the whole kit and kaboodle to work. I found no central source. Hopefully my experience will be of value to other Foscam owners wandering the web looking for answers. Yes, I was right about how crazy hard it is to set this kind of tech up. And two years ago wasn’t the time to crack this code. Preparing for parenthood wouldn’t have allowed me the necessary discretionary focus. I can see that now. Hey, what’s that sparkly feeling I feel rushing over my face? The remainder of this post is the manual I feel should have been in the box. But beware. I’m going to be throwing about a lot of acronyms. And this how-to post is only designed for an Apple ecosystem using a current edition Apple Airport Extreme wireless router. For those of you who are left, thanks for taking this rigorous journey with me. First, you should familiarize yourself with some acronyms. Please tell your agitated neurons not to explode. It a unique location identifier that works like a mailing address for computers and other devices to find each other on the web. This service manages and translates impossible-to-remember IP addresses into normal URL names. Similar to DNS, but this system handles dynamic IP addresses that change from time to time. To address this problem, you can download DDNS software to your computer to update the correct DNS mapping to your URL. This network protocol is used by your Apple Airport Extreme router to assign a range of private IP address numbers to different devices running on your network. Like your social security number, each of your web-connected devices has a MAC Address hard-wired into it. One way to identify your Foscam MAC address is to download LanScan onto your computer. It’s a free program you’ll find in Apple’s App Store. The trick is to activate its wireless mode to work with your Wi-Fi home network. When you reboot your Foscam to activate its wireless mode, you must quickly unplug the Ethernet cable before the camera completes its reboot. Otherwise it will incorrectly reestablish its connection via the cable and WILL NOT FIND your Wi-Fi signal when you pull out the cable later. Once I had my Foscam up and running in the nursery and viewable on my iMac’s Safari browser, I quickly realized my Foscam viewer software asked me to keep re-logging in every day or so. What was up with that?! My Airport Extreme (like all routers) is given only one external IP address to work with. That IP address is provided by my internet service provider (ISP) and has to be shared with all my web-enabled devices when connecting up my army of tech. But remember, each device needs its own unique web location identifier. So the Apple router ends up assigning its own series of internal dynamic IP addresses to my web-connected tech. The problem was the router-assigned internal dynamic IP address for my Foscam kept changing, forcing me to re-log back into it. Create a Static DHCP Reservation for the Foscam in your internal home network that won’t keep changing on you. The Mac Observer has a great story on how to do this. I found it especially valuable, because there’s not a lot out there on how to get Apple’s current Airport Utility (V6.1) to work with an IP camera. As I mentioned above, home internet users are assigned one dynamic IP address by their ISP. For me, it’s provided by Optimum (Cablevision). And yes, static IP addresses are available, but cost more. So the external dynamic IP address Optimum assigned to my service changes from time to time. We’ve just addressed the similar problem when accessing the Foscam on a home Wi-Fi network. But when you’re elsewhere and want to take a peek at your toddler, you’ll need to ping the Foscam via your external dynamic IP address. And that number is always changing. That problem makes it hard for my Foscam Pro iPhone app ($3.99 in Apple’s App Store) to find my baby cam when I’m out and about. The solution is to use a free DDNS service to assign a static host name to your dynamic IP address that won’t keep changing on you. I signed up for an account with no-ip.com. You might think it’s great to have a static name instead of an ever-changing series of IP numbers for your Foscam. But how does the host name know to keep up with the changing numbers? You’ve also got to download and install software that’s designed to track the changing numbers. No-IP calls it the Dynamic DNS Update Client or Mac DUC for short. And as long as the software is running on your computer, it will sense your IP address change and update the current DNS address associated with your new static name. Another program to run on my computer. I’m never a big fan of introducing software that always has to run the background. Throughout my agonizing week of Foscam-Palooza, I noticed my dynamic IP address from Optimum only changed once. So I’ve decided to delay this step, and I have not yet created a new host name for my IP address with No-IP. I will deal with this pesky problem at some point down the line. I will then have to manually update the new IP addresses into Foscam Pro on our family’s two iPhones. Not a perfect solution, but it works for now. Don’t bother with the whole DDNS thing. Do the DNS updates manually. You can always set up the auto-checking software later. This step you have to do to get Foscam Pro working without the safety net of Wi-Fi. So what is port forwarding? It’s when one internet device communicates directly with another, using a specific port number. The Foscam’s default is port 80, a commonly used port. All of my research says you should change it to a less travelled port number to avoid conflicts with other devices also using port 80. And sometimes ISPs block port 80; another reason not to use it. 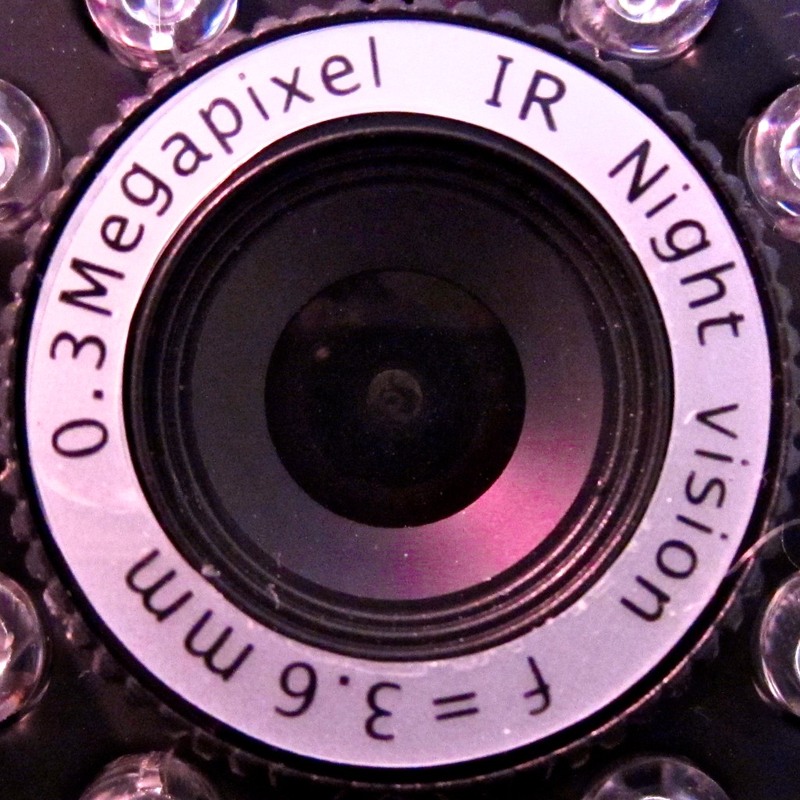 TIP: Assign a port number other than 80 for your Foscam to use. Okay. If you’ve gotten this far, you must be serious. Here’s my bonus ‘quick start’ guide. It’s step-by-step detail on how to get your almost-awesome Foscam IP Camera up and running once it’s happily humming on your home network using Apple’s Airport Extreme router and Airport Utility V6.1. Log in to your Foscam’s Device Management Page in Safari. Open Airport Utility on your Apple Computer. (I know this may not be technically correct, but there isn’t a camera-related option. Purchase and Download Foscam Pro onto your iPhone or iPad. I know. Not so much. So I hope I’ve been of some assistance. But sometimes you’ve to figure things out for yourself! Especially when you’ve got no choice but to write the manual yourself. All in all, it’s not been a totally horrible experience. So get off the barcalounger and go run around in the wild a bit. Confront the Dark Side, and tickle it until it gives up its secrets! I’m happy to report my Tech-Dentity has remained intact. And that, my friends, is all that matters. When you reboot your Foscam to activate its wireless mode, you must quickly unplug the Ethernet cable before the camera completes its reboot. Otherwise it will incorrectly reestablish its connection via the cable and WILL NOT FIND your Wi-Fi signal when you pull out the cable later.” Much appreciated!!!!! this guide was really helpful to me. I’ve been trying to get my Foscam cameras working for over six months, with no luck (I have pretty minimal tech experience, but had done some basic research). The suggestion to find the cameras’ MAC address with Lanscan got me over the final hurdle. One or two quick things I would add. 1) My ISP seems to have blocked a lot of ports, and I spent a long time trying to find ones that were open. I dealt with that piece before I found your site, but maybe other time warner ISP customers might have trouble with ports 8502-8599, like I did. I ended up using 8090-99. Hopefully not a mistake. Anyway, here’s a useful site for figuring out which ports are detectable for anyone who needs it. Also, if I’m wrong about using the ports i chose, let me know! 2) My airport utility’s setup doesn’t allow you to adjust the DHCP range from the main window if you have “DHCP and NAT” selected. I think another commenter mentioned this. But, choosing “Network Options…” at the bottom of the Network tab in Airport Utility opens a window where you can adjust the DHCP range. CCTV systems and IP cameras are amazing products utilized to provide protection to people, homes and also businesses. Their existence can prevent would be wrongdoers from performing bad things. Getting these kinds of equipment are surely worth it.